Anne Mette R. von Benzon, COWI Tanzania’s Director sees the Danida Alumni Network as a platform for mutual collaboration and benefit for the company and the alumni group. Her focus is on market development and the alumni as a resource and talent network. It has always been my dream to work in Tanzania, says Anne Mette Benzon, COWI Tanzania’s Director during the launch of the Danida Tanzania Alumni Network earlier this year. She took over the position in January 2018 of the long established company. COWI has been in Tanzania since 1967. Recently, though COWI Tanzania has been through an organizational restructuring process. It has had to move from its previous premises to a smaller environment and reduce the number of staff from over 100 to 45. The company now focuses on four sectors: water, transportation, the environment and development planning. Regardless of these changes, COWI Tanzania’s reputation as a high quality, solid partner, is as strong as ever. The guests know that Anne Mette Benzon is sincere when she rounds off her speech by emphasizing that she is looking forward to collaborating with the alumni network. I encourage continued dialogue between the new Danida Alumni Group and COWI Tanzania, she says. A few days after the launch, Anne Mette Benzon explains why she so warmly embraces the alumni platform. The Danida Tanzania Alumni Network has the potential to become a very important platform for collaboration between COWI Tanzania and the Danida alumni, she says. 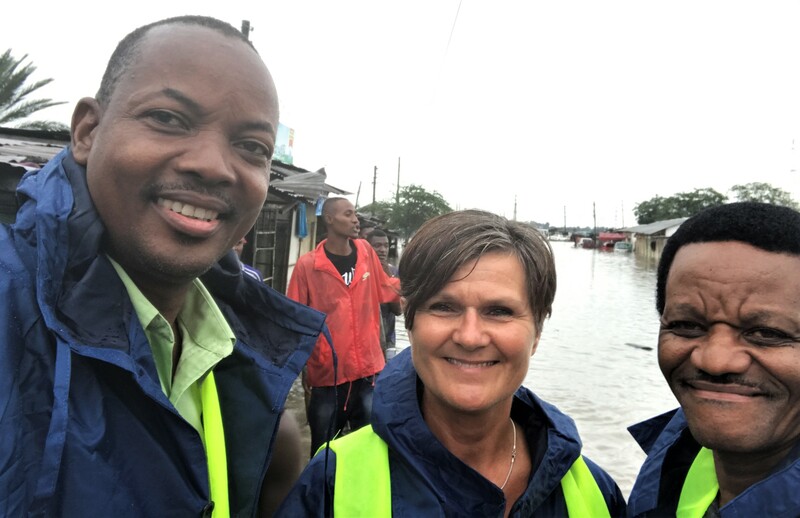 Even though Anne Mette Benzon is new to the position of Director of COWI Tanzania, this is by no means her first job in Africa. In fact, her career includes extensive international experience. She spent ten years of her professional life working in China, Vietnam, Nepal, Singapore, Eastern Europe, Zambia and Zimbabwe. At the time, Danida financed a large number of environmental projects, Anne Mette Benzon’s field of expertise. Whether the projects were about pollution or environmental management, her focus was on local capacity building. She trained consultants worldwide. Judging by history, she did so with great success. I remember that I trained some consultants in Lithuania and later lost a tender for a project to one of the Lithuanians that I had trained, she says, laughing with pride. Overall, Anne Mette Benzon has had an impressive career. She was the first woman to be appointed as a director by COWI in Denmark outside the head office in Lyngby. That was in 2007. She was Vice President of COWI Denmark before she moved to Tanzania and her focus has been on project management, business development and human resources throughout her professional life. It is essential for a company like COWI to recruit and retain the right employees with the right capabilities. The main thing we work with is our heads, so having the right heads on board is of utmost importance, she says. The first thing she mentions when she starts to talk about the potential of the new alumni network in Tanzania is that it is a talent pool of potential employees, sub-consultants or ambassadors for COWI Tanzania. Danida alumni who are familiar with both the Danish and Tanzanian systems and work culture, having received part of their education in Denmark, may very well turn out to be the candidates of choice, if their professional skills also match the job description, she says. She quickly adds, however, that the network should not only be about finding employment. Otherwise, it would soon become exhausted, she says. She thinks that the collaboration between COWI and the Danida Tanzania Alumni Network will have to have a wider perspective. She would like to see it as a network of give and take whereby both COWI Tanzania and the Danida alumni benefit. She explains that while the alumni want to expand opportunities for advancing their careers, COWI Tanzania is looking to advance the company’s business opportunities. Many of the Danida alumni in Tanzania are in key positions or are engaged in work that relates to COWI’s profile. What the company would want from the alumni is to get access to their knowledge about the Tanzanian market and discuss it with them. I think the alumni network can serve as a really good opportunity for COWI to have some extra ears and eyes on the ground on how to approach the Tanzanian market, says Anne Mette Benzon. In practical terms this could be secured by arranging theme meetings or events. 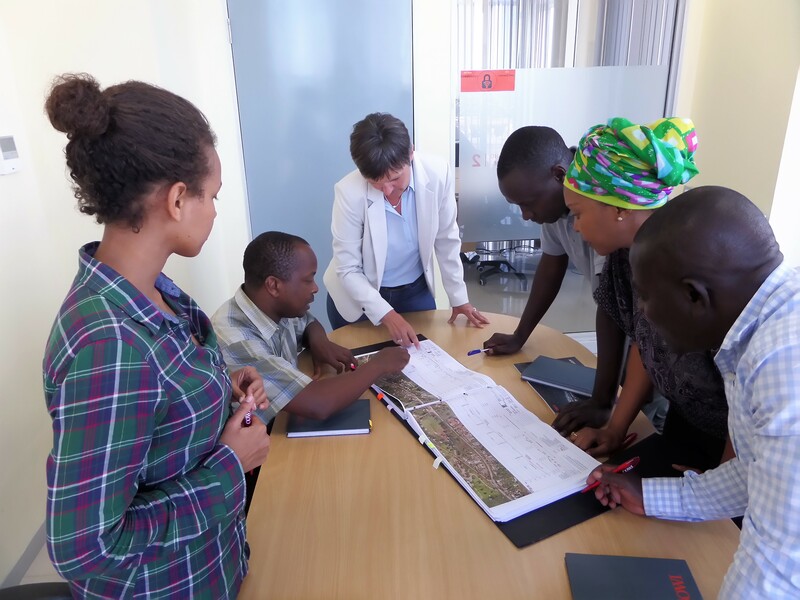 Anne Mette Benzon suggests meetings where alumni and Danish companies discuss specific subjects of interest that affect or are affected by the business climate in Tanzania. The political situation and the business environment have changed quite a lot in Tanzania in recent years. It would be useful to discuss issues concerning the changing business environment with the alumni group, she says. Anne Mette Benzon would also like to give a hand to Danida alumni who may want to improve their career prospects. She is already engaged in COWI’s own accelerator program for talented staff. She suggests setting up a special Danida alumni accelerator program. I think a career accelerator program would be of benefit to the alumni. Quite honestly, I would also love to give feedback and mentoring to Danida alumni on career development, the experienced director says. I can already see it becoming part of my dream of working in Tanzania.